I wrote a love letter to Crusader Kings 2’s intricate dynastic backstabbing a while ago, and I thought I should let you know about the game’s semi-sequel Europa Universalis 4. I’ll even toss in a few tidbits about the myriad DLC available for both titles at no additional charge. First, a brief introduction: Crusader Kings 2 is strategy-as-individual, a fascinating look at the intimately personal nature of politics and power, spanning the years from 1066 CE (867 CE with Old Gods DLC) to 1453 CE. Europa Universalis 4 follows this with a shift from the myopically personal to the strictly national, covering the years 1444 CE to 1821 CE. With both games and the appropriate DLC, it’s possible to convert a CK2 save game into an EU4 mod, letting you pick up the reins of your budding nation-state right where your Machiavellian ruler left them. I loved CK2 from the start, even though it took a long time for me to feel like I could play the game without stumbling over my shoelaces. Despite having an easier time learning how to play EU4, it took longer for me to really fall into it. I think it was because the game is simply less personal. It certainly wasn’t because of the interface, which has only improved. In my first game of CK2, I was presented with a moderately ugly portrait of a lecherous Irish earl, told that that was me, and told that I really ought to get married. I lived that earl’s life with gusto, trying (and failing) to better my position in the world, and I still have fond memories of him. I identified with him, in much the same way that I have since identified with Queen Ximena and several other rulers of mine, and I felt connected. EU4 simply doesn’t offer that experience, and at first I was dissatisfied. I didn’t understand why I would want to play this grand strategy game without all the little people desperately trying to grease the wheels of power in order to ease their rise to the top. I put aside the game and didn’t come back for a few weeks. I’m still not sure what it was that pulled me back in, but I’m glad it did. Despite looking so similar to CK2, EU4 is a very different game; it offers you the chance to shape a state as it transitions from the deeply personal politics of feudalism to the larger scale conflicts of colonialism, nationalism, and empire. It gives you a chance to make Thomas Hobbes proud. It’s not entirely accurate to say that EU4 does away completely with the personal aspects of ruling. You do have to ensure that you have an orderly and legitimate succession with the passing of each ruler (how you define legitimate and when a ruler leaves office depends on your government), and there are better and worse rulers. But the biggest way in which your ruler will impact you is by determining how many Monarch Points you have to spend. Each ruler is simplified to three numbers: these determine the quantity of Administrative, Diplomatic, and Military Monarch Points that they contribute to your state each month. More on that later. As with CK2, there are no defined win-states. There are defined end-states, points at which the game will close out your particular run and score your accomplishments, but scoring has changed from CK2 as well. Whereas in CK2 your total score was a combination of the accumulated prestige and piety of your various rulers, EU4 calculates your score by comparing your standing with all the other states in the game. The more impressive you are in comparison to your peers, the more points you get. How you get there, and how high you choose to aim, is entirely up to you. Regardless of which way you go, though, you’ll want to pay attention to technology and Ideas. While tech in CK2 is a helpful but largely sidelined part of the game, falling behind in EU4’s tech race will see you squashed flat by your more progressive neighbors. Developments in technology will make new buildings, policies, and units available, but some of them will also give you the ability to adopt new Ideas which will become central to your state’s capabilities. All technological advances cost Monarch Points of the appropriate subtype. Ideas allow you to customize your state’s interactions with the rest of the world and strengthen your state, and they’re categorized by what type of Monarch Points you must spend to acquire them. Pursuing Exploration Ideas allows you to enter undiscovered sections of the world map and eventually gives you the ability to colonize territories which aren’t under another state’s control. Religious Ideas will allow you to convert your errant subjects and eventually declare war in the name of religious differences, while Trade Ideas enable you to use more merchants and use them more effectively. Offensive Ideas, of course, will make you better at taking the fight to your foes. You have to pick your specialties and focus closely on them in order to maintain your competitive edge. Just as the focus of the game broadened from CK2 to EU4 to encompass entire states rather than heads-of-state, the scope of the game changed as well. While the Rajas of India DLC for CK2 has expanded the map to include India and more of central Asia, EU4 allows you to play anywhere in the world. As the name of the game hints, however, not everyone is created equal. Playing a non-European state is inherently more challenging; different states belong to different technology groups, and start at different (fairly historical) technology levels. Non-European technology groups have almost uniformly more expensive technology costs, making keeping up with the Europeans increasingly difficult as the game progresses. It is possible to “Westernize” and replace your own technology group with a less penalized one, but this leaves your state in a dangerously vulnerable position, likely wracked by revolts and instability. Speaking of instability, I love that there is a state-wide attribute called Stability. It ranges from -3 to 3, with associated penalties and benefits for each level. In order to increase your Stability you must either get very lucky with a random event, or spend your precious Monarch Points, which you’ve also been hoard for buying tech and Ideas. Here’s a hint: having negative Stability is not a good thing. Westernizing, as I mentioned before, automatically reduces your Stability to -3. It simultaneously reduces your Monarch Points to -300 in all three categories, leaving you temporarily unable to deal with all the trouble that that instability brings about. You see, just as CK2 delighted in modeling interpersonal feudal politics, EU4 brings that same passion to recreating the pressures of internal and interstate politics of the early modern era. Just like its precursor, this is a game that will teach you to think in its terms and offer you an incredibly flexible set of tools to achieve your goals. It has benefited from its later release date with what feels like a far more refined user interface, elegantly presenting and easily navigating through an even greater depth of information than in CK2. In case that wasn’t enough, the game is also considerably prettier, and offers even more map modes than before. I haven’t quite fallen head-over-heels for this game the way that I did for Crusader Kings 2, but it’s an excellent strategy game and I’ll be playing it for quite some time to come. It is challenging, engaging, and rewarding, and it offers a new form of the same experiences which I so enjoyed with CK2. 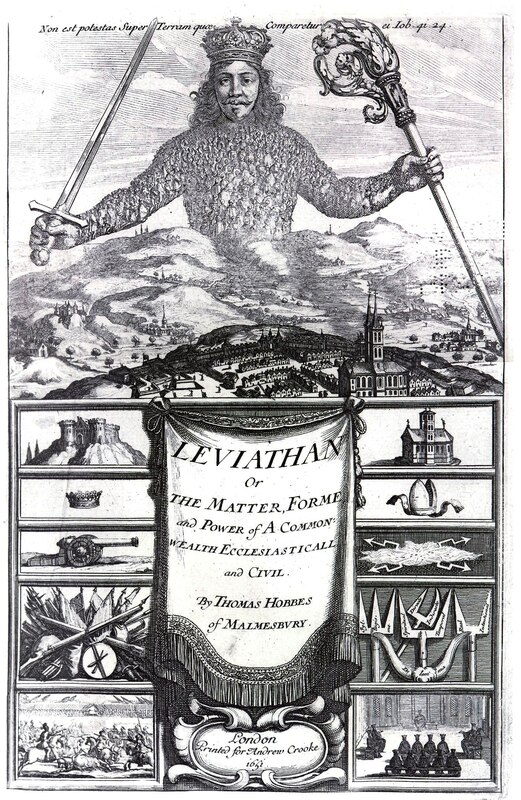 It does so with a twist: you no longer embody a single individual, but are instead the entirety of the Leviathan. I wholeheartedly suggest that you check it out if you have any appetite for large scale and long-term strategy games with considerable depth and breadth. Note: There are a number of very cool things that you can do with interactions between CK2 and EU4. If, for example, you played CK2 with the Sunset Invasion DLC active, creating a world in which advanced Incans and Aztecs invade Europe sometime in the 1300s, you can still convert that world to a starting mod for EU4. In that game, Incan and Aztec civilizations will start without any technology penalties, removing the need to Westernize and making them a true force to be reckoned with. This entry was posted in Game Design, Game Reviews, Games and tagged CK2, Crusader Kings 2, EU4, Europa Universalis 4, hard fun, Henry's PC Game Reviews, Hobbes, Leviathan, Simulation, user interface, Video game. Bookmark the permalink.